Ms. LoPreto is an experienced trial attorney with extensive training in mediation and conflict resolution. These skills serve her clients well as she guides them effectively and passionately in complex financial and custody matters as well as in the defense of criminal charges. Ms. LoPreto represents parents and children in family and matrimonial disputes. The representation of children is all court-appointed and reflects the dedication and sensitivity that Ms. LoPreto has for families in crisis. Ms. LoPreto also lectures frequently on child-related issues and presents continuing legal education programs for members of the matrimonial and family law bar. 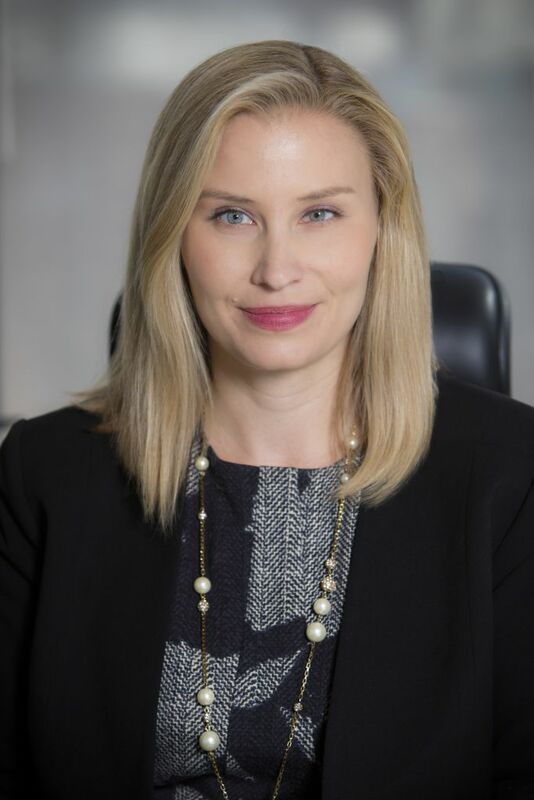 Ms. LoPreto is President of the New York Women’s Bar Association, a co-chair of the Judiciary, Finance and LGBT Committees, and past co-chair of the Matrimonial and Family Law Committee for the NYWBA. Ms. LoPreto is a fellow of the American Academy of Matrimonial Lawyers, and a member of the Interdisciplinary Forum on Mental Health and Family Law, The Association of Family. 2013 Extraordinary Issues for Extraordinary Kids: A Primer on the Issues Involved When Confronted with Special Needs Children in Divorce | Matrimonial Law Committee of the Association of the New York City Bar Association and the New York Women’s Bar Association. In an effort to bring dignity to the dissolution of a relationship, Ms. Levy endeavors from the outset to effectively and efficiently achieve the best results for her clients without the need for court intervention. When a negotiated settlement is not possible, she draws on her background as a commercial litigator and is a tenacious and passionate advocate for her clients with experience handling complex financial and custody matters from inception to conclusion. Ms. Levy represents clients in all aspects of matrimonial and family law including pre- and post-nuptial agreements, divorce negotiation and litigation, spousal support, child support, custody, and visitation matters. Ms. Levy’s practice also includes mediation and, with her training from The Center for Mediation & Training, she expertly guides her mediation clients through all matters related to matrimonial and family law. As part of her mediation practice, Ms. Levy regularly serves as a consulting attorney for clients involved in mediation with an outside mediator. A born and raised New Yorker, she lives in New York City with her husband, two children, and two dogs. Ms. Levy is a Vice-President of the New York Women’s Bar Association, a Co-Chair of the Judiciary Committee and has served as Co-Chair of the Judges Reception and Membership Reception since 2013. She proud of her involvement with Judges and Lawyers Breast Cancer Alert and serves on the Board of Directors, the Membership Committee and the Advisory Board Committee. Ms. Levy was Co-Chair of the Board of Directors of Purple Circle Early Childhood Development Center from 2013-2015.